Are Divorce Kits Good Options? Get help with divorce forms. Divorce kits are a lower-cost alternative to ending a marriage than both parties hiring an attorney to represent them. This option should only be considered in certain circumstances, though. When you buy one of the divorce kits available through an attorney, you and your spouse are agreeing to file a joint petition for divorce. These documents indicate that you have settled the issues between you and you are asking the Court to review and approve of the agreement as set out. The judge is also responsible for ensuring that there are grounds for divorce. In the case of a no-fault divorce, "Irreconcilable differences" is usually considered sufficient legal grounds. All states have a residency requirement that must be met before a divorce can be granted. At some point, you should be asked how long you and your spouse have lived in the state where you want to file for divorce. 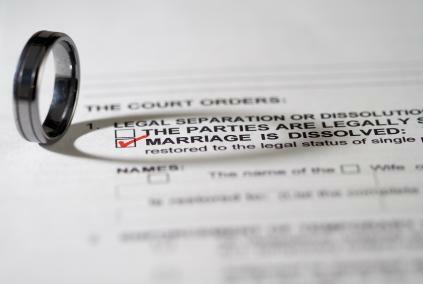 As long as one person meets the residency requirement, the divorce papers can be filed. You may have agreed that one person will be paying spousal support (alimony) to the other. The amount of the support, who will be making the payments and when they are to begin and end need to be set out. You will also want to consider whether you want to add a provision that the amount of spousal support payable may be changed by the Court if circumstances change. If you and your spouse are able to settle the issues around your divorce amicably, ordering a divorce kit may be the right choice for you. In more complicated situations, you may need to hire a lawyer.